Anti-abortion extremists are at it again. 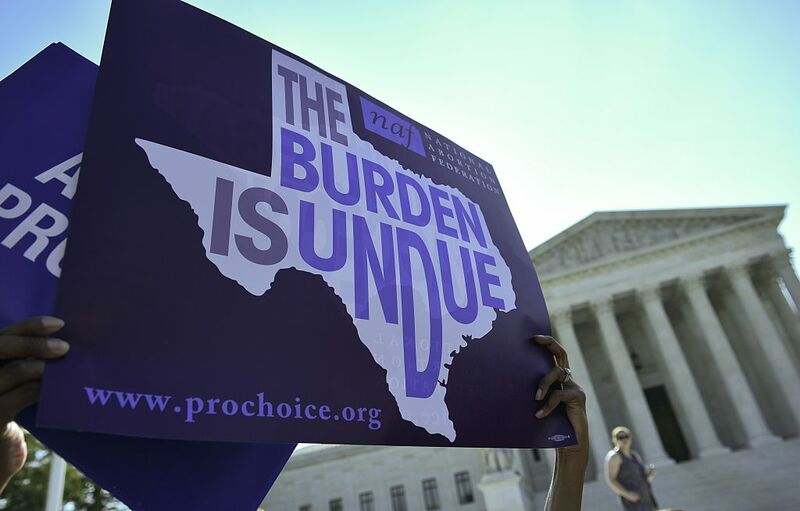 This time in Texas, where the state’s Republican-controlled legislature just advanced SB 8, a super restrictive anti-abortion package bill outlawing a commonly used second-term abortion procedure. Texas House reps overwhelmingly voted (97-46) to pass the bill, which includes a provision banning dilation and evacuation, long considered the safest kind of abortion after the first trimester. As if that wasn’t bad enough, under the proposed law, doctors who perform the procedure inside Texas state lines could face felony charges and even jail time. Texas isn’t the first state to introduce such a measure — courts have blocked similar laws in Alabama, Oklahoma, Kansas, and Louisiana — but its legislature does appear to be the most committed to cutting off women’s access to essential reproductive care at any cost. This provision, for example, was tacked on to an already existing bill requiring fetal remains from abortions be cremated or buried. That’s despite the fact that a federal judge blocked a similar measure Texas lawmakers tried to advance in January. But if you’re thinking it can’t get any worse, girl, you’re going to need to sit down for a minute. Remember those million-times-over debunked videos surreptitiously recorded from inside a Planned Parenthood clinic and deceptively edited to depict the exchange of fetal tissue for money? Well, it is the lie that just won’t die. SB 8 also bars the sale or donation of fetal tissue post-abortion. Nevermind a federal law prohibiting the sale of fetal tissue on the books since, like, forever. But this ain’t Texas’ first time at the anti-abortion rodeo. Back in 2013, more than 20 abortion clinics in the state were forced to close following the passage of HB2, one of the nation’s strictest anti-abortion laws, which required clinics to make costly and unnecessary upgrades to their facilities and demanded abortion providers obtain admitting privileges at the nearest hospital. Last year, the Supreme Court ruled parts the law unconstitutional, opining the law failed to prove that the ends (so-called “women’s health” benefits) justified the means. Like HB2, abortion rights advocates believe the requirements outlined in SB 8 do not protect women, but instead shame them and bleed their financial resources. Kathy Miller, president of the Texas Freedom Network, agrees, describing this new bill as based on “lies and misinformation” about second-trimester abortions and fetal tissue.